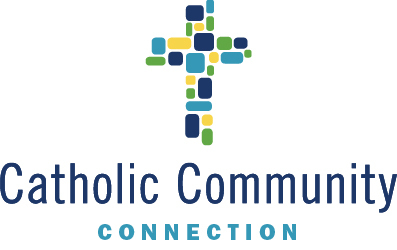 The opportunity to work at the Catholic Cemeteries Association (CCA) was unexpected, and the engagement in a real-word work experience can only be described as remarkable. My name is Antonio Vuyancih, and I had the pleasure of earning a summer fellowship position at the CCA. Currently, I am in my final semester at John Carroll University (JCU) where I am receiving a degree in business marketing. Going through JCU’s rigorous business courses has equipped me with knowledge of how to interact in a business setting. My position at CCA provided me with opportunity to begin developing a sense of professionalism and confidence that it takes to be successful in a competitive job market. While at John Carroll University, I played four years of collegiate basketball and earned the title as a captain my senior year. I grew up playing many sports, but basketball has always been my passion. The game has taught me to focus on skills and has heightened my interest for competition. This last season, I completed all four years of my eligibility, and I realized it was time for me to find a new passion where I can apply my leadership and competitive mentality. Business marketing became my new focus. CCA provided the perfect setting for me to practice my marketing skills with incredible guidance and support by colleagues. When they felt I was ready, they encouraged me to provide more input during departmental meetings and with potential partners. Going to work every day with an “in-game” mindset was always my intention. Immediately, it occurred to me that the professionals I came to know so well drove through the Calvary Cemetery gates with a similar attitude. Although they were not relating their experiences in basketball to their work life, they were displaying a work ethic and drive for success that influenced me to learn more and work harder. Without a doubt, they did so in a manner which has helped push me to be a better businessman and, more importantly, a better person. The Catholic Cemeteries Association has a relatively new marketing department where the margin for error was low and the opportunity for impact was high. I worked closely with a Marketing Associate and colleague of remarkable talent, who delivered the guidance I needed and assigned me to tasks that were very important to CCA operations. My supervisors Barb Palumbo and Aaron Poklar and their team have spearheaded the marketing department and are truly building an environment in which to learn and excel. I was fortunate to spend time with Andrej Lah, the CEO. Mr. Lah brings a presence that draws people into every room and every conversation. The determination and dedication he has for the CCA is shared and reflected in the incredible people who work there. During my time at CCA, I attended meetings with business partners such as radio stations and magazines where I saw firsthand how professionals interact. Daily projects included designing content for social media and offering my personal insight into how I would design new marketing materials. The project I am most proud of was my research and implementation of CoSchedule. CoSchedule is a marketing calendar offering tools to place all marketing strategies on a single calendar visible to the whole marketing team. I had the fortunate opportunity to demonstrate CoSchedule to CCA coworkers and instructed them on how to implement it into their daily routine. It was truly a pleasure to work alongside such a remarkable staff. The knowledge and skills I have gained will be applicable in any interview and business setting I encounter. What is most important is the fact that the marketing, sales, and IT departments do more than draw attention to or market for the CCA. Each day, this team of extraordinary people help each other and the church in building awareness for the WORD of God.